Moving is one of the most stressful and tiring things anyone can ever go through. Whether the move is across cities or within the same area, it always needs careful planning. From sorting to packing, labeling, unpacking and arranging all your stuff in your new home, it involves a bunch of work. This usually calls for additional hands to help with the tasks that need to be done, and this help always comes at a cost. Unfortunately, it is something that we have to go through at some point in our life. It is a necessity that can hardly be avoided or ignored. Luckily, the stress can be minimized and the possible problems avoided with a bit of help and resources. As with most tasks, organization and careful planning is key to moving. A checklist will help you remain organized with the tasks of sorting, labeling and packing your things. Moving your entire home means that you need to prepare at least two checklists. The first is a checklist of all the stuff you will be bringing with you. They can be grouped according to the room they belong in. Aside from indicating the room where each item belongs, it would be a great idea to number the boxes. This way, you can indicate on your checklist where each item is packed. It will make it easier to sort and identify your things while moving. Another checklist that you need to prepare is a list of all the tasks that you need to do – packing, labeling, etc. No task is too small for your checklist. It pays to be prepared. To help you better with this list, here's a comprehensive sample that you can refer to. You should divide it into segments of time to keep you organized. · Ask friends and relatives for referrals to moving companies and inquire about their services, procedures, and policies. Get at least three estimates from different companies so that you can compare their services and choose the best one that suits your needs and budget. · Go through all your stuff and identify the things that you will keep and those that you will dispose of. Remember, less is more. If you no longer use it, give it away or sell it. This will make packing easier and quicker for you. · Keep a file of all your moving documents such as contracts, invoices, bills, etc. This file should be readily available once you need them. 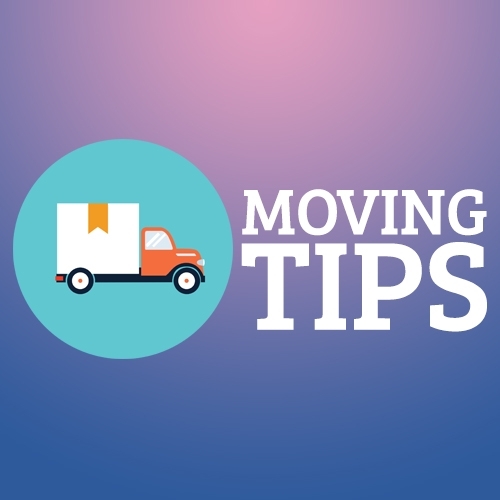 · Inform your utility company of your moving date so they can disconnect services (for your water, electricity, cable, internet, etc.) on the date after your move. · Also schedule an activation or transfer of these same services to your new address, so that you already have them in place once you move in. · Bring out the boxes and start packing the items you will not be using in the coming weeks. Be sure to label the boxes with the room the items belong to. This will make unpacking systematic. · Make a list of the items that go in each box. If you're too lazy to do this, you can also take pictures so you'll know where to find each item. · Decide on whether you're going to hire a moving company to help you or if you decide to DIY. If hiring, now is a good time to finalize the details of your big move with them. · Enlist the help of family and friends. Let them know when they can come and help you with packing, or with unpacking. · Update all personal documents that include your address. Notify your employer, banks and insurance companies of your change in address. · Clean up every room once you've packed all the items in it. · Disassemble furniture that you will not be using in the following days and pack them away. · Set aside all items that you will not be needing and schedule for a pick up by the local Salvation Army or any organization you decide to donate them to. If you are planning on a garage sale, now is the perfect time to do that. · File your leave from work for the days that you will be concentrating on the move. · Prepare a suitcase of things that you will need on the day of your big move, like towels, toiletries, clean clothes, etc. · Check the new place you will be moving in to and make sure everything is ready for moving day. Clean up all the clutter, check if the switches are working and if electricity is already available. Or have someone do all of these for you. · Throw away all unneeded and unusable items, especially flammable stuff, like left-over paint, spray cans or propane. · Call up your relatives and friends who enlisted to help with the packing and moving and inform them of your schedule. · If hiring one, make a last call to your moving company to confirm details such as time of arrival and pick up. · Draw up a time-table for moving day, time to start loading your boxes, where/when to stop for lunch, estimated time of arrival at the new place. · This will give you a sense of what to expect and prepare for on the day itself. · With the help of volunteer family and friends, finish packing all your things, leaving behind only the essential items that you will be using every day. · Make sure that all your boxes are properly packed and numbered, color-coded by room if possible. This will help you in the unpacking process. Make sure there are labels on the top and sides of the boxes. · Prepare a snack bag for moving day. Make sure to bring lots of water and high energy food to sustain your strength while moving. · Have your check lists and pens ready with you in your bag. · Clean up your refrigerator, stove and other kitchen appliances. Make sure most if not all the food in the fridge will be consumed by moving day. · Make sure all your items for donation/giving away are picked up or delivered to their new owners. · Check if all utilities are already working properly in your new home. · Prepare several pieces of post-it notes with your new address and your contact numbers to be given to your movers, or to your entourage on moving day. · Pack away your beddings and disassemble all the beds in your home. · Have a last-minute meeting with your movers, if hiring one, and make sure they know how you want things to be done. Inform them of the box labels, where each box must go, how they should be loaded, etc. Make sure all your items are loaded and nothing gets left behind. · Distribute your post-its with your contact numbers and the new address to every driver in the moving group. · Double check every room in the house before leaving, making sure that nothing is left. · Turn off all light switches, lock all windows and doors. · Make sure you arrive at your new home before the movers/entourage. · Inspect your new home, making sure all utilities are in working condition. · Clean up your new home while it is still empty of your stuff. Open windows and cabinet doors to let fresh air in. · Direct your movers with the unloading of your boxes, show them where each box must go. · Finally, unpack what you need for the rest of the day and set up your beds and beddings while you have help. The checklist above is as thorough as it gets, with the weekly tasks to tick off as you go along the way. However, a big factor to consider is whether or not to hire a mover. Movers are a big help with all the items you need to pack, load and transport over a long distance. If you have a lot of stuff to bring with you, hiring a moving company will definitely be the practical choice. 1. Reputation. Ask around for movers that friends and relatives will recommend based on experience. Have at least three companies to compare services and reviews from before making your final choice. 2. Choose local. Oftentimes, local companies are the better choice in terms of budget and availability. 3. Ask for an in-house cost estimate. Let them see your belongings and inform them of the distance to your new home so they can quote you an estimate. 4. Look at the fine print. Check their cost estimate for hidden charges, insurance coverage, payment terms, policy on damage to items, etc. Compare these with the other movers you are considering and base your decision on your comparisons. When making your final choice for a mover to hire, keep in mind that getting the cheapest mover doesn't always guarantee that you'll save on money. Cheap could mean mediocre service, and that may incur unwanted problems along the way. Choose wisely and take all the above-mentioned factors into consideration. A U-Haul is a truck that you can rent to load your things when moving to a different location. Unlike movers, you do the packing, loading and driving yourself. This may be a great way to save on moving cost, but only if you have a manageable amount of stuff to bring with you. You can call on your friends for help in packing and loading your things into this rented truck. This will make it easier to do the moving without professional help. Mid-month and mid-week are the best days to get a good price, since most movers say the weekends and month-ends are the busiest time for them. 2. Look for cheap boxes to use in packing. Used and recycled boxes are cheaper and you can resell them once you're done unpacking. 3. Start packing a long time off. Don't do a last minute stunt. Plan months ahead which items you will bring and which ones to give away or donate. 4. Organize a moving team. You'll need all the help you can get, from packing, to labeling, to unpacking, and sorting your stuff. You won't be able to do it all on your own, so might as well ask for help early on. 5. Time your departure from your old place. Make sure you will be able to stop and rest when needed at convenient times and places. You want to be able to get to your new house while there is still light outside for ease in unloading. If you do decide to do the move with a U-Haul, make a specific time table. Include all the things that you would be doing in preparation for your move.